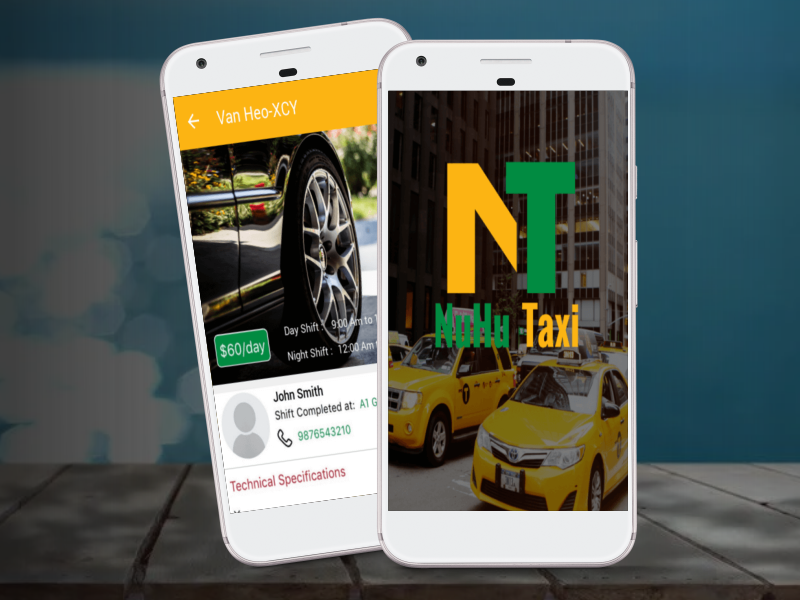 The app (NuH Taxi) aims to easily connect taxi cab drivers in New York City with each other and the base they rent cars from. NuHu Taxi will allow cab drivers to easily request a car per sift from a base they like and contact the present driver to determine the car drop off location. Additional features of the app are to allow drivers to determine airport (JFK, LaGuardia Airport) taxi lot capacity based on automatic GPS recognition, saving them time and money. The app will also allow easy price calculation of long distance trips outside of New York City as well as a meter system for the driver incase of meter crash.